It's Tutorial Tuesday again! Today I've got a super pretty Sympathy card for you! 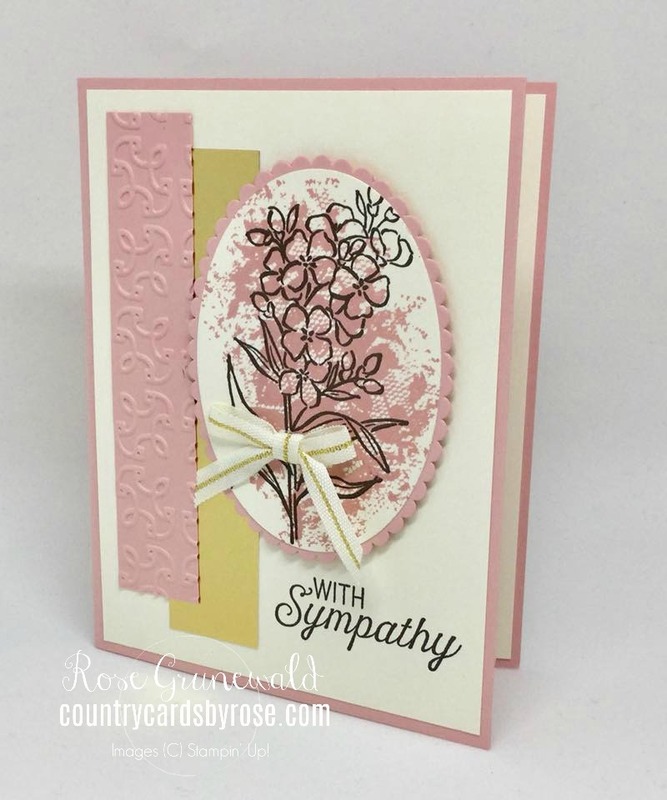 Don't you just love the soft colors of this card? My friend Cathy designed it - she always makes such pretty projects! 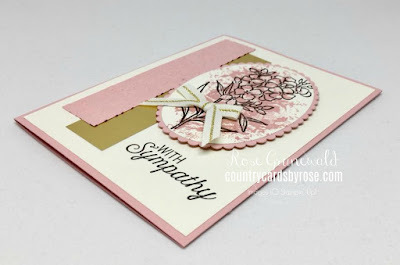 Follow the step-by-step tutorial below to make this card. You can get a printable version HERE. 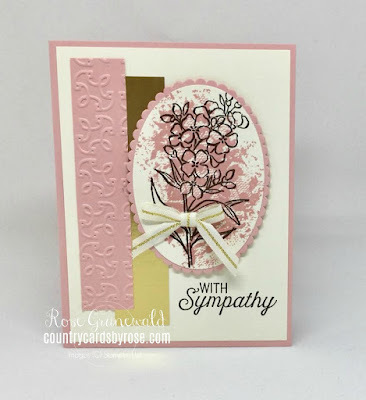 · Stamp sentiment with Early Espresso ink on Vanilla layer in lower right corner, adhere to card base. · Adhere Gold foil layer as shown with liquid glue. 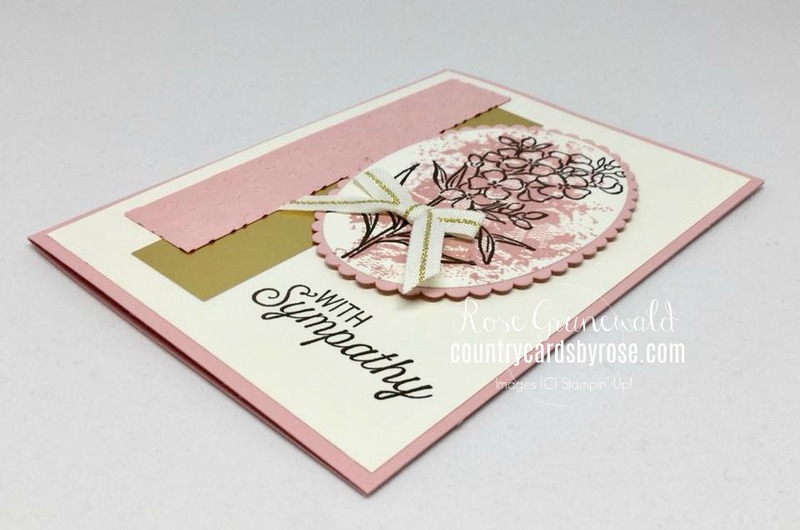 · Run Blushing Bride layer through Big Shot with Garden Trellis embossing folder, adhere to the left side of the gold layer. · Die cut Blushing Bride scrap with Layering Oval scallop framelit. · Adhere oval layers together with liquid glue. 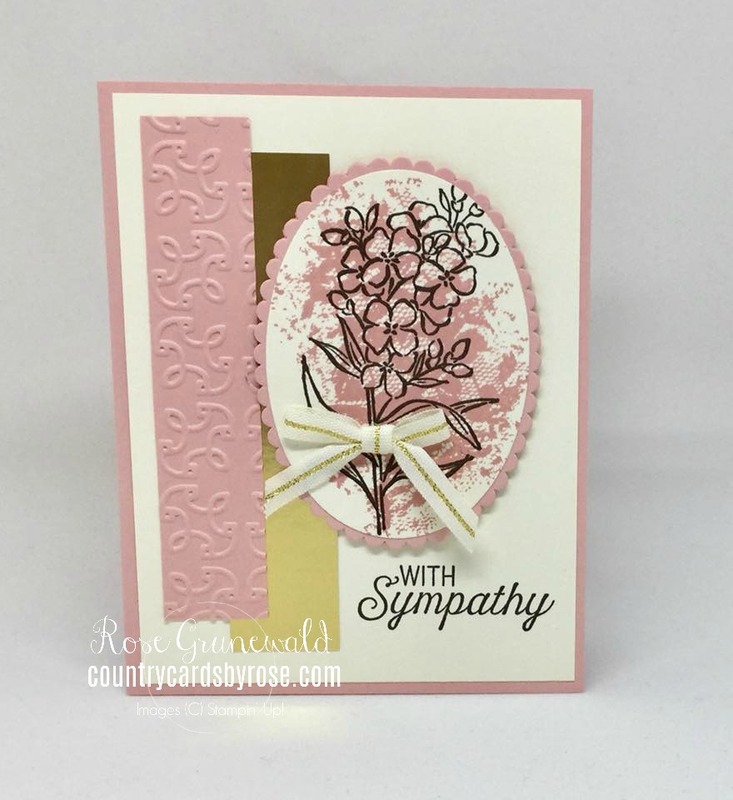 · Adhere layers to card front with Stampin’ Dimensionals. · Tie a bow with the Gold Natural Trim ribbon, adhere to base of flowers with a Mini Glue Dot.